The 2019 Toyota Tacoma 4WD is a 5 passenger Automatic or Manual transmission, 4x4 Small Pickup Trucks. It is available in 6 trim packages, the Limited, SR, SR5, TRD Off Road, TRD Pro, and TRD Sport. The new Toyota Tacoma 4WD invoice price ranges from $26,978 to $42,164, while MSRP ranges from $28,775 to $45,515. 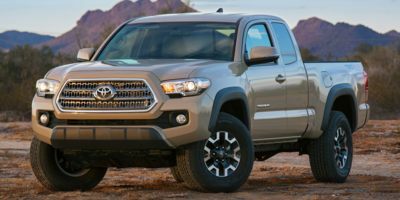 The 2019 Toyota Tacoma 4WD is available in 9 exterior colors, Barcelona Red Metallic, Cavalry Blue, Cement, Magnetic Gray Metallic, Midnight Black Metallic, Quicksand, Silver Sky Metallic, Super White, and Voodoo Blue, and 8 interior colors, Black, Black/Caramel, Black/Gun Metal, Black/Orange, Black/Red, Cement Gray, Graphite w/Gun Metal, and Hickory.